Federal Policy Briefing: Get a first look at the federal policy work spearheaded by the Disability Roundtable Coalition, a new group convened by NOD and comprised of twelve leading disability organizations, to focus attention on the critical issue of employment for people with disabilities.The Disability Roundtable Coalition has identified two policy priorities to work on together: (1) eliminating 14(c) certificates, which allow employers to pay workers with disabilities sub-minimum wage; and (2) enforcement of the 503 rule change and supporting federal contractors with their compliance requirements. Corporate Trends in Disability Employment: Discover trends and insights from more than 25 leading corporations, gained during NOD’s nation-wide listening tour this winter.President Carol Glazer will share success and challenges common to Council members that are recruiting talent with disabilities and building inclusive workplaces. Activating #LookCloser: NOD’s national awareness campaign, Look Closer, powered by some of the nation’s most prominent brands, shares the stories of the millions of Americans with disabilities at work to challenge preconceptions and grow job opportunities for our community.Find out the collective impact from the campaign’s first year, including a prominent launch in Times Square, outdoor media, magazine ads, digital banners streaming PSAs and more. Council Members’ Updates: Come ready to share your successes and promote your news and events with your peers.Plus, we’ll crowd source hot topics and emerging issues in disability inclusion for future Council video conferences. 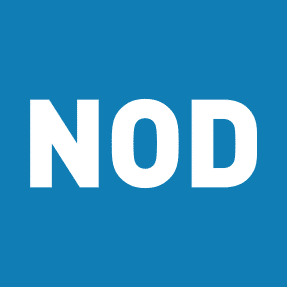 To register: Log into the Members’ Only Portal or email events@nod.org. All employees of NOD Corporate Leadership Council companies are invited to attend.